I knew Danny from when I was a “Buff” at Engine 290/Ladder 103 in the East New York section of Brooklyn. I was a young Firefighter from New Hampshire who used to spend weekends and holidays traveling down from New England by myself. Danny always had a huge smile on his face and always made you feel like you belonged there. He loved to joke and kid around but when the alarm went off, he was all business! I watched many a time in amazement, Danny put Ladder 103 into places that most people would say was impossible but he did it. 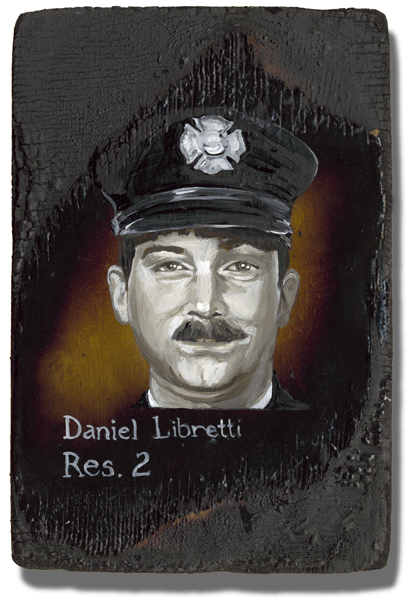 He was very proud to be a member of FDNY and could brighten any room he walked into. Thanks Danny for making those days on Sheffield Avenue so much fun and making me feel right at home! Dan was my godfather , Uncle danny has been a true inspiration in my life, between him and my father , they have shaped my life into what it is today. I wish i could truly capture the amazing person he was in words but that is impossible. You would have had to witness his smile and his laugh to truly appreciate it. I miss you more than words describe. I hope your proud of me and the man I am today.